Carrying more than about 2 or 3 nails up on a ladder gets pretty janky, as you have to start holding them in your mouth, throwing a few in your pocket, or attempting to hold a bunch of screws along with a drill in your hand. Chances are you're going to drop a few, or somehow stab yourself. 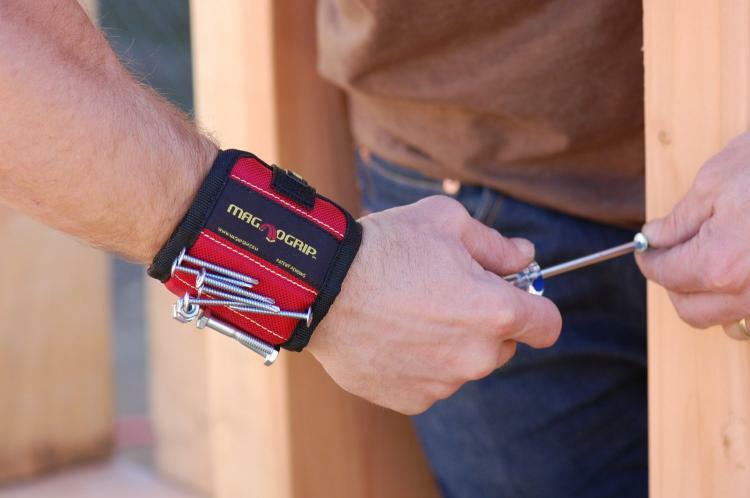 The Magnogrip is a magnetic wristband that lets you hold screws, nails, tools, and more all on your wrist for easy access when you need it most. No longer will you have to travel back and forth from the box of screws with each one you drill in. 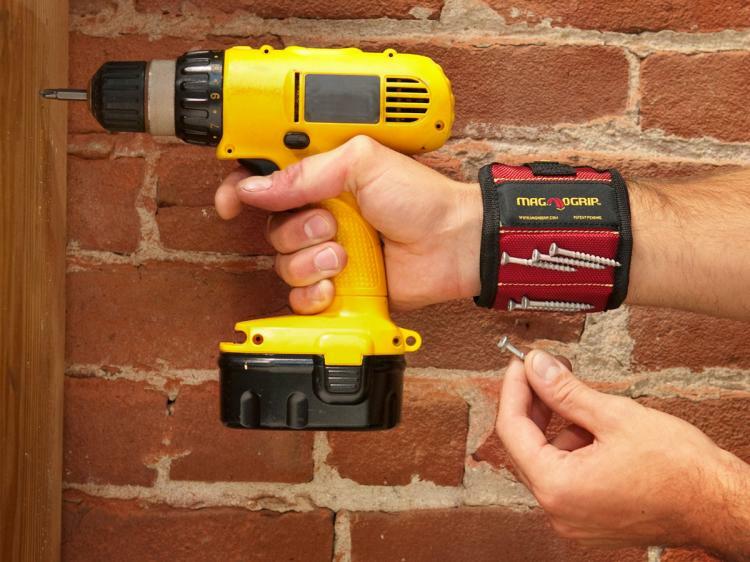 Just stick a bunch of them to the Magnogrip on your wrist and you'll decrease your travel to and from the box of screws/nails by about 100x over. Plus, just think of how many times you'll not have to up and down that ladder. 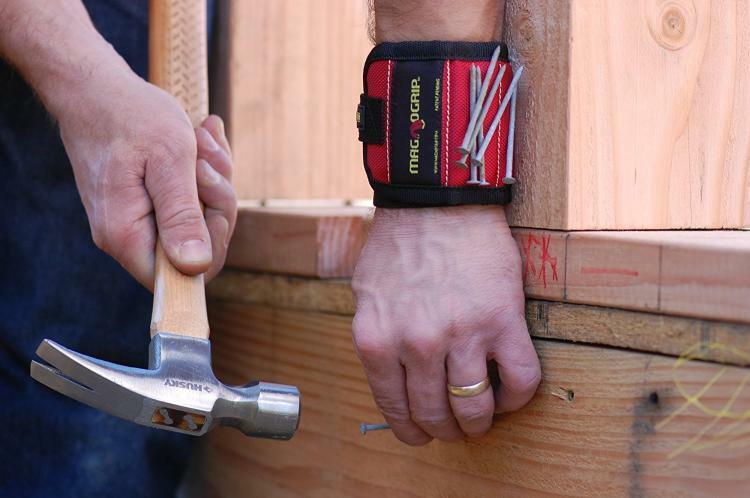 The MagnoGrip is made of durable 1680D ballistic polyester and is embedded with super strong magnets that will hold on to your nails, screws, bolts, nuts, tools, drill bits, etc. 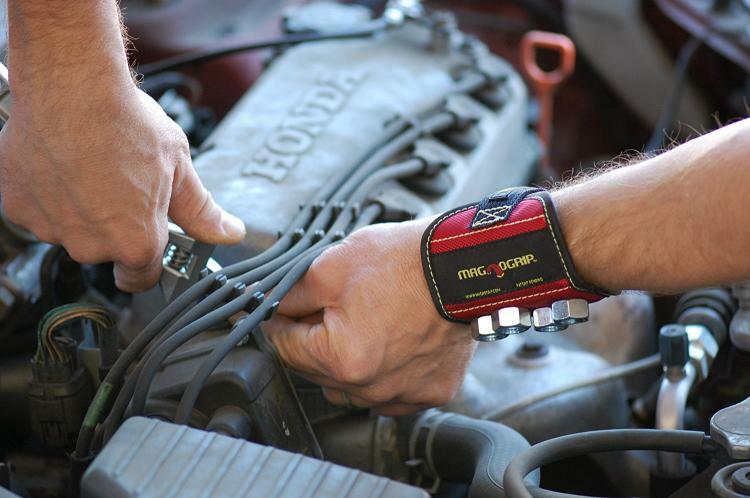 The wristband connects to your wrist using a Velcro strap, and is one size fits all. 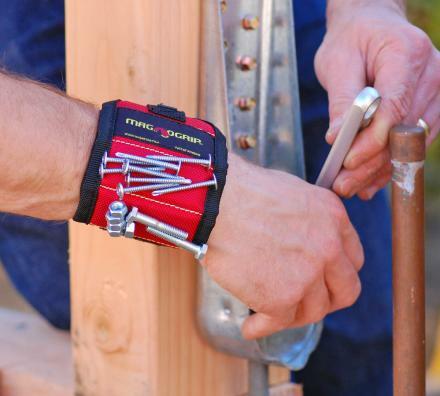 Check out the Magnogrip magnetic screw/nail holding wristband in action via the video below.